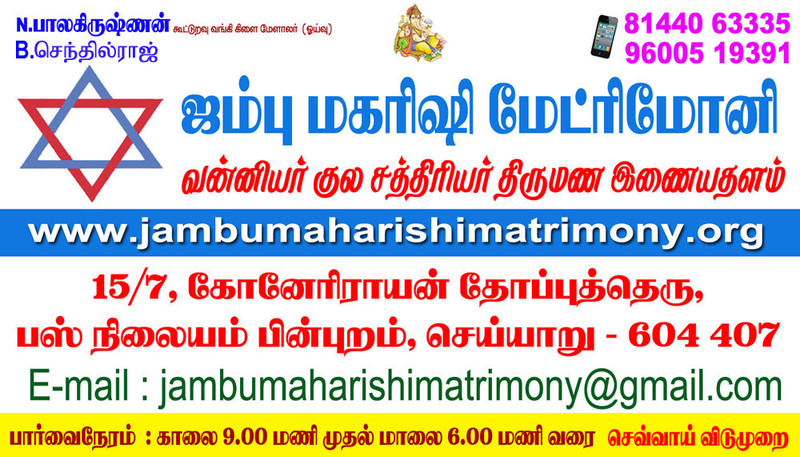 jambumaharishimatrimony.org is the only portal in the history of online matrimony for Vanniyar Caste to provide matrimony services. It's the right destination for singles looking for a life partner within Vanniyar community. Paid members only can View & Contact the full profiles details.